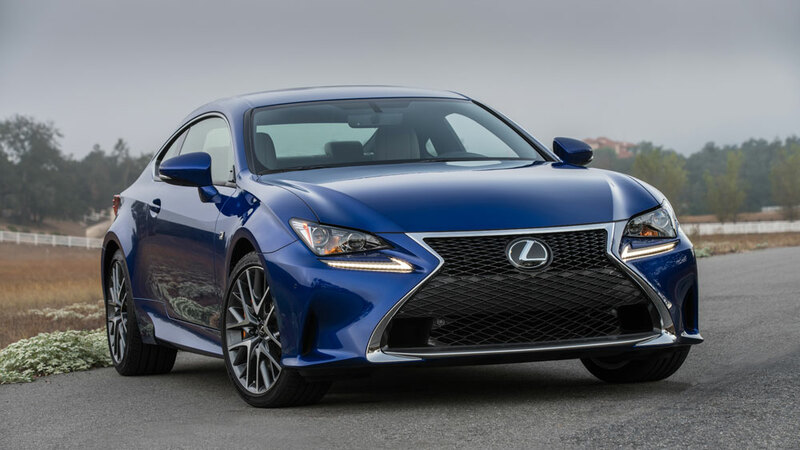 Lexus USA has announced two new RC models for 2016: the 241 horsepower RC 200t and the 255 horsepower RC 300 AWD. The 2016 RC 200t will be available in RWD only, and utilizes Lexus’ familiar 2.0L turbocharged inline four-cylinder engine paired to an eight-speed automatic transmission. Output is 241 hp and 258 lb-ft torque. The new RC 300 AWD (All-Weather Drive) comes standard with a 3.5L V6 engine producing 255 hp and 236 lb-ft torque, mated to a six-speed automatic. Notably, the RC 200t F Sport and RC 350 F Sport can now be fitted with an optional Limited Slip Differential. Lexus has also updated the RC’s color palette — Eminent White Pearl will replace Starfire Pearl, and both the RC 200t F SPORT and RC 350 F Sport will receive optional orange brake calipers. Pricing information has not yet been released, but more information about the 2016 RC can be found in the Lexus press release. The RC200t starts at $40,935, versus $43,720 for the RC350 (a savings of $2785). The entry figure for the RC300 AWD is $43,550, while the RC350 AWD checks in at $45,955 (making the lesser version $2405 cheaper). Meanwhile, beckoning those with more cash to spend—a minimum of $63,745 for the 2016 model—is the RC-F with its 467-hp, 5.0-liter V-8. Bulldog 1: If it drops the price down to an IS level, I'm in! Sabelo: The inevitablereally.. the pricing will be key.